Property Details: 3 Bedroom, 3.5 Bathroom Home with approx. 2207 square feet. 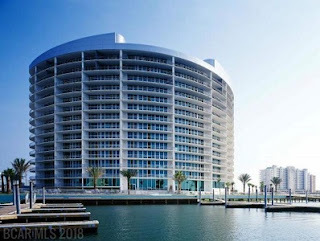 Bella Luna condo for sale in Orange Beach. Corner unit with views of Ole river and the Gulf of Mexico. This condo has been updated in the last year with tile through, paint, and new furniture. This Condo has a Deeded large Boat slip. number A8.Amenities include 3 outdoor pools, a HUGE heated indoor pool, 2 hot tubs, and a waterfront fitness center. This condo has a wet bar with ice machine and wine cooler.